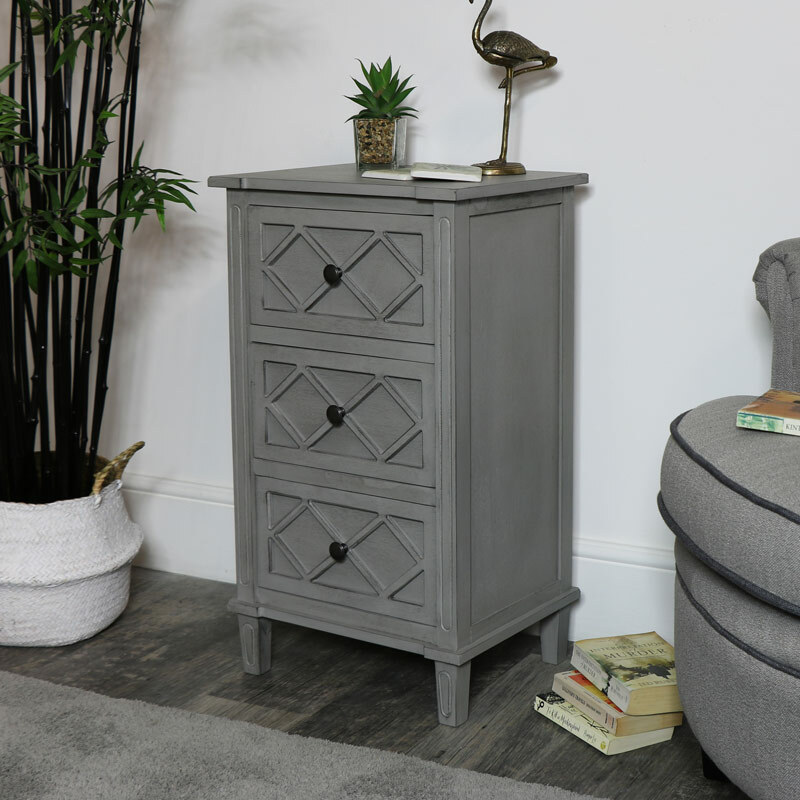 Our Venice Range brings you our lightly distressed, grey three drawer bedside chest with its elegant lattice front. Perfect for use in the bedroom either paired or individual. 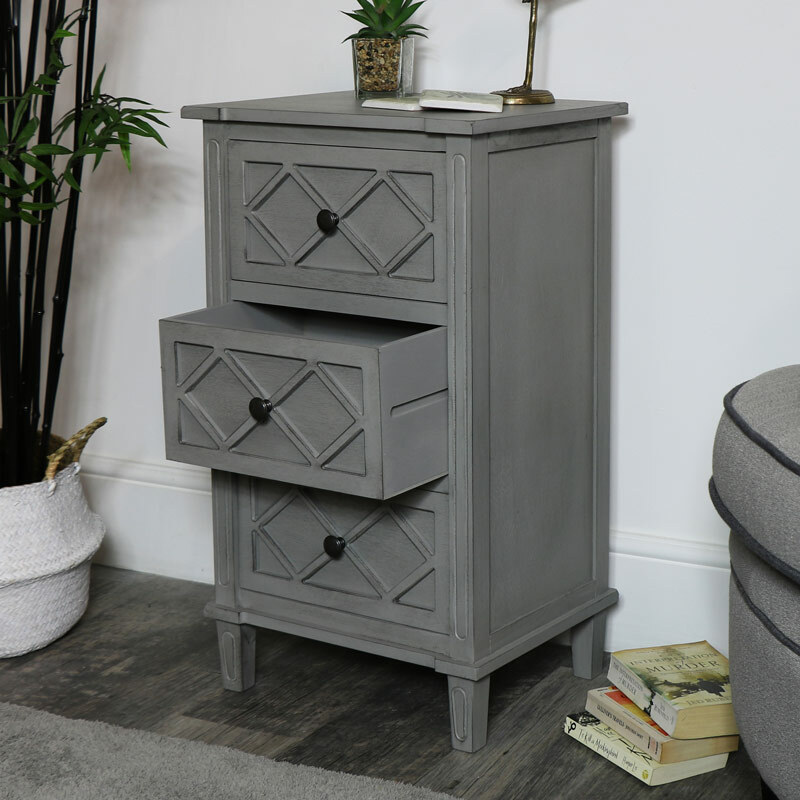 The three spacious drawers would also make this a practical side table for the living room as we also have matching pieces that would pair with this well. Whether your interior is shabby chic, traditionally vintage or a more modern / contemporary our Venice range will suit all. 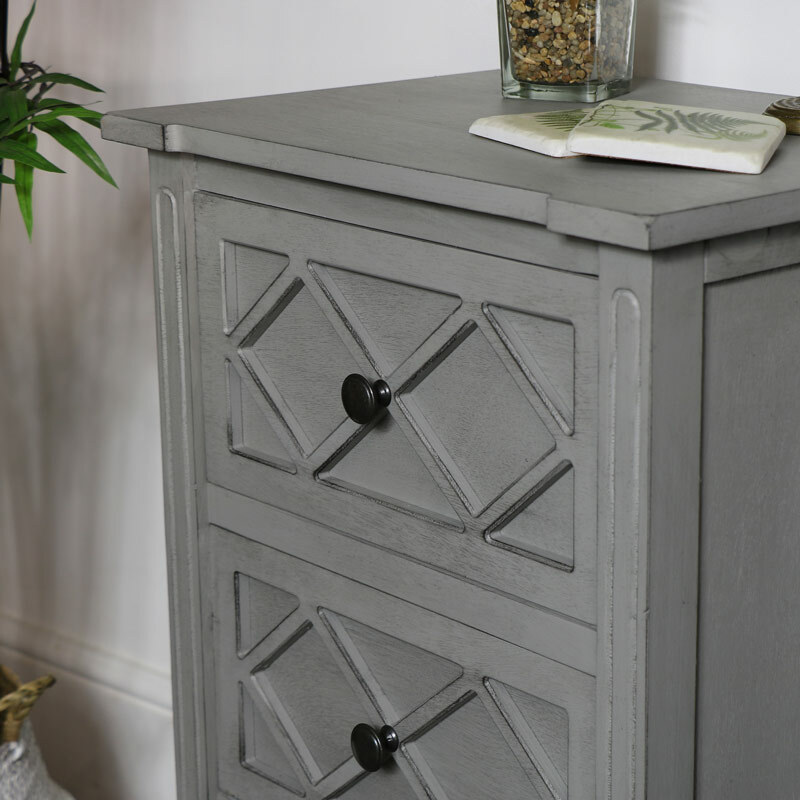 Constructed from wood in a grey finish with light distressed effect. The chest comes fully assembled so all you need to do is unbox and place where needed.